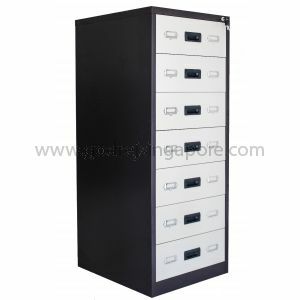 Card index cabinets are a practical and cost-effective solution for storage of information cards as well as new media like micro films etc for bio medical industry. They are perfect for storing sensitive information, contact cards and important but small items on the desk. 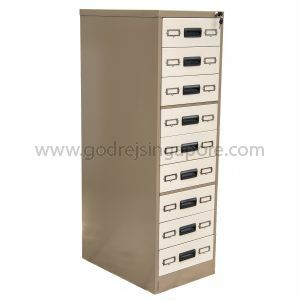 These cabinets are lockable and sturdy with a single drawer divided in two compartments on each level. 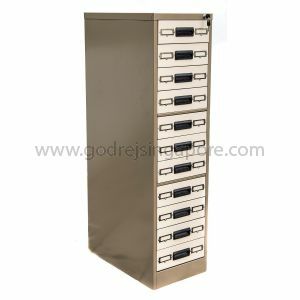 3 different versions with 7,9 and 11 drawers are available.